What is the Difference between Longshore Workers’ Compensation & Jones Act Cases? 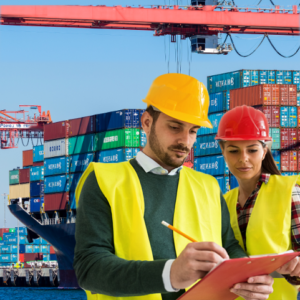 Our experienced Long Beach Longshore attorneys are often asked by injured seaman if they qualify for Longshore Workers’ Comp Benefits, Jones Act Compensation, or even both. Both Longshore Workers’ Compensation & Jones Act Cases provide financial compensation for injuries sustained while working at sea. However, due to the complicated nature of the laws covering both types of claims, it can be difficult to determine which kind of case to pursue after suffering an offshore injury. Each type of case offers different amounts of compensation, and has their own specific certain eligibility requirements. In this article our experienced Long Beach Longshore lawyers explain the differences between these two type of cases and when you can qualify for them. Longshore Workers Compensation covers most employees who were engaged in any maritime employment, including: longshoremen; harbor workers; ship repairmen; shipbuilders; ship-breakers; ship loading or unloading workers; and others performing traditional maritime employment. (To see exclusions CLICK HERE). Additionally, these employees are eligible for Longshore Workers Comp as long as their injury occurred upon the navigable waters of the United States or on any adjoining pier, wharf, dry dock, terminal, building way, marine railway, or other adjoining area customarily used in loading, unloading, repairing, or building a vessel. The Jones Act, however only provides protection for actual seamen, i.e. employee who actually worked on a vessel and contributed to the operation and maintenance of the ship. Typically, at least 30% of an employee’s time must have been spent working on the ship in order for them to be considered a seaman. Longshore Workers Comp provides mandatory benefits for any illness, injury or disability caused by or resulting from work duties, working conditions or an accident occurring while working. There is no element of “fault” or negligence that must be proven to collect benefits in a Longshore Workers Comp case. As long as the qualifying employee was injured or made ill at work, he or she is entitled to Longshore Workers Comp benefits. Jones Act Cases are far more limited in the type of injuries that qualify for compensation. A seaman filing a Jones Act claim must prove that the negligence of their employer or another coworker caused their injuries. Additionally “unseaworthiness” – which refers to an employer’s inability to maintain the safety of the ship at all time – must be demonstrated in Jones Act Case. In other words, fault is not an issue in a Longshore Workers Comp case, while negligence must be proven in a Jones Act Case. In Longshore Comp cases the employer is responsible for covering or reimbursing for all medical costs and any future care. Victim are also entitled to a set percentage of their average weekly wage during the time they are unable to work. In general this amount is roughly about 66.66% of their previous income. One of the biggest difference between Jones Act cases and Longshore Workers’ Comp claims is the amount of damages that can be recovered. Jones Act cases typically result in a much higher compensation award. In addition to compensation for medical care, damages for pain and suffering, and emotional trauma can be awarded in a Jones Act case. And, unlike workers comp lost-wage compensation (which is capped at a partial percentage) the Jones Act can provide for complete reimbursement of all lost wages. But while the compensation in Jones Act cases is higher, it is a more difficult and complex process. Longshore Workers Comp cases require filing out an application, while Jones Act Cases actually require the injured employ to sue the employer by filing a law suit in a court of law.